*want first pick of the goodies? volunteer! Helpers needed to move boxes, set up, clean up, & work the fair! 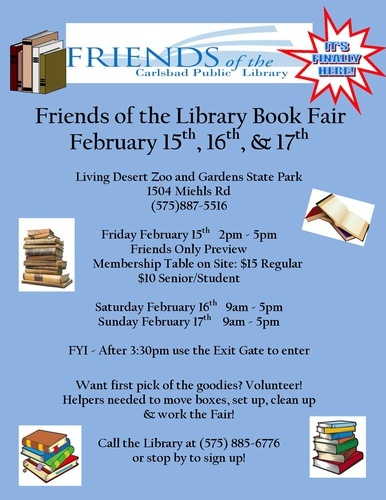 Call the Library at 575-885-6776 or stop by to sign up!